When disaster strikes people affected need help fast. But you can be a frontline hero to them – even when they are on the other side of the world. Our local partners - organisations that work in the area affected. They assess what communities need in the immediate aftermath of a disaster. Often partners do not even know whether their own families are safe, yet they selflessly give their time and energy to helping the local community. Our dedicated team of emergency responders. On a regular basis, our brave staff take on the heroic task of travelling to the emergency area and delivering aid to those most in need. Our support from Catholics around England and Wales, who are helping through our special Emergency Response Team scheme. 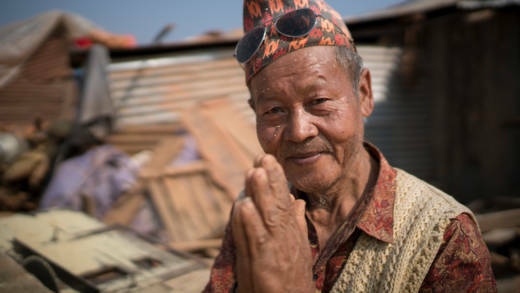 Direct Debit donations from these generous people are helping as soon as disaster strikes. You can save lives and provide comfort to those who have lost their homes, belongings and maybe even their families by joining our Emergency Response Team scheme. The Emergency Response Team is a scheme that you can join by setting up a direct debit. Your regular gift will fund CAFOD’s emergency work all over the world so once you’re signed up, you could be a frontline hero in Peru, Ethiopia or the Philippines without even leaving your living room. This is a special scheme that reaches the most vulnerable people when disaster strikes. 1. Saving time saves lives. We react quickly so that we can save more lives. Regular donations to the Emergency Response Team go into a special pot of funding set aside every year specifically for emergencies. When disaster strikes (big or small), we can transfer funds to a local partner immediately because we know the money is already there and there is more coming in next month if another emergency happens. Sometimes, CAFOD will hold a wider appeal if we decide to scale up our response but while we are waiting for donations to come in, the initial response in the first few hours comes from the Emergency Response Team. And in an emergency, reacting quickly is essential – saving time saves lives. 2. Remain on the ground. Our vast network of local partners means we know the local situation and what is truly needed. And our Church partners can reach areas and people that others can’t. This puts us in a unique position to be able to help people as soon as possible. 3. Never forget ‘hidden’ emergencies. 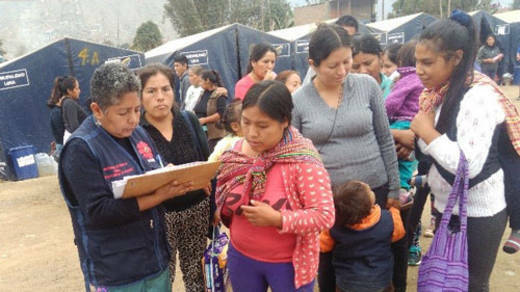 CAFOD's Emergency Response Team provided food, medicines and water to people who had lost everything during floods in Peru. We don’t just respond to emergencies that the media decide to cover. We work on emergencies that don’t make the news and are therefore often massively underfunded and forgotten. Every year, we respond to over 10 emergencies, meaning that your regular gift is always saving lives. We have a team of experts ready to be deployed to wherever the next emergency is. They provide advice on security, water, logistics and work with our partners to run projects efficiently. A ‘typical day in the office’ could be in a partner’s office helping them set up a child protection policy or out in a local community helping give out food and toiletries. You could be a frontline hero too. If you believe in how we work, join us! With you in our team, we can provide an even faster emergency response, saving many more lives when disaster hits.